Faux Wood Painting Technique - Sincerely, Sara D.
I asked several of my blog friends for ideas on the best faux wood painting technique. 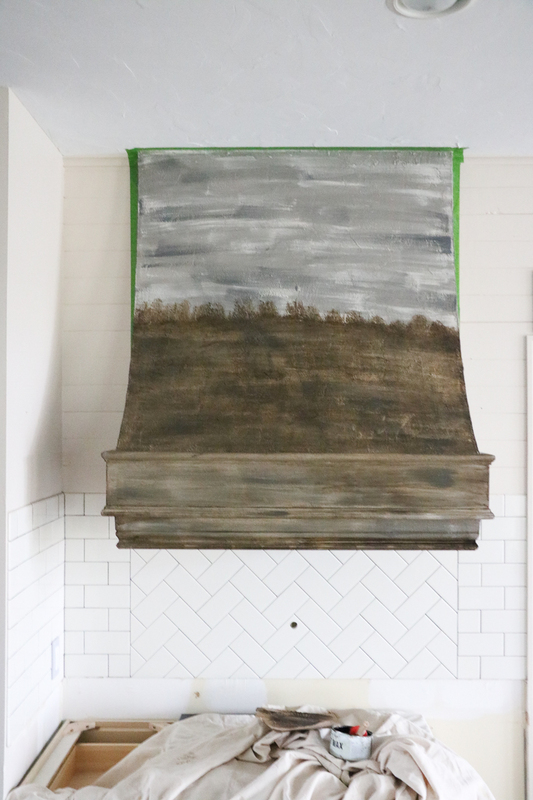 My friend Lauren of Bless’er House is the one who told me how to create this wood look with paint. 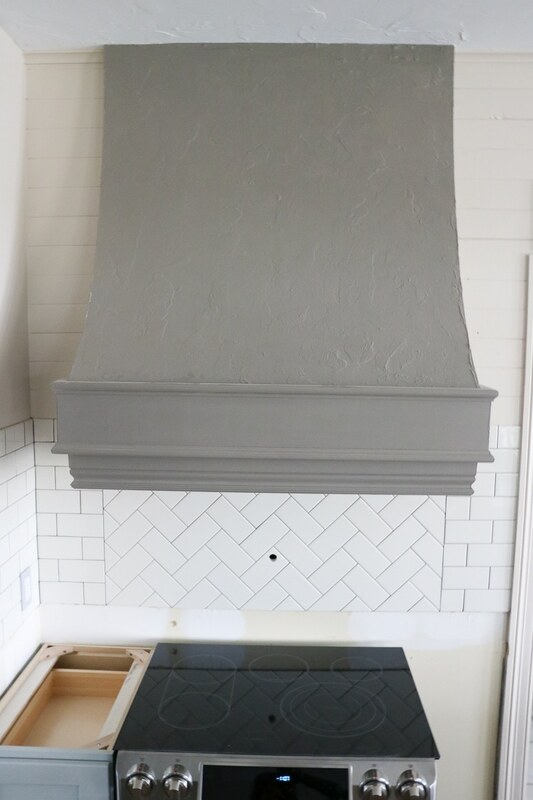 For our kitchen remodel, I really wanted to paint our plaster hood to resemble our dark wood floors. 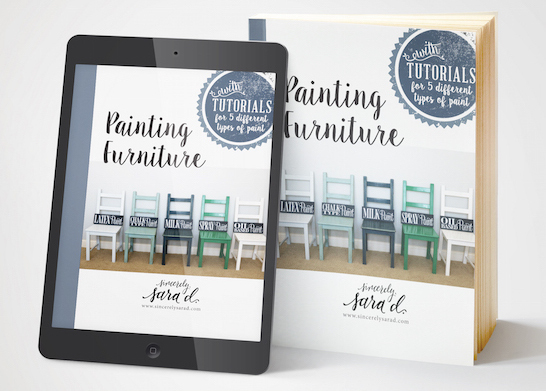 I changed Lauren’s tutorial just a bit to make my faux wood a bit darker to match my floors. 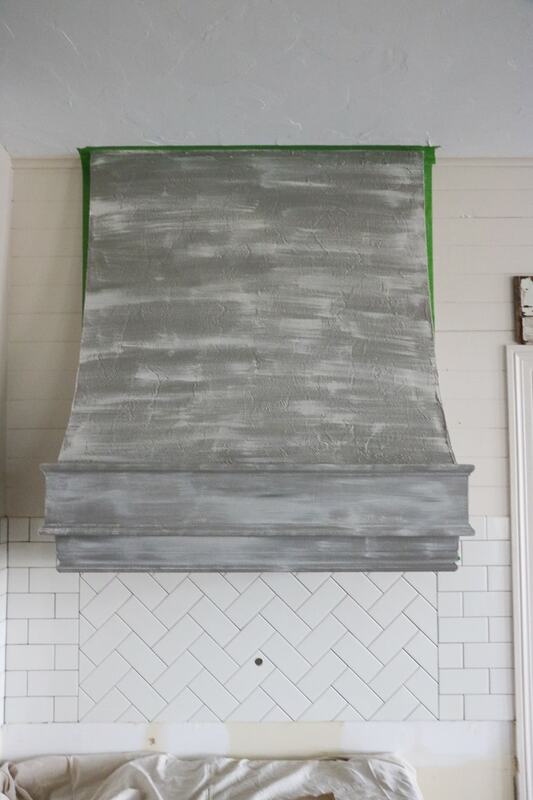 To begin, paint the first layer a medium gray. My hood already had two layers of chalk-type paint on it. 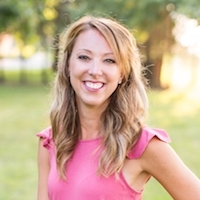 I had previously used Amy Howard’s Selznick Grey. For the next layer, dry brush cream or white paint. If you are unfamiliar with with dry brushing, see the tutorial here. It is one of the easiest painting techniques! 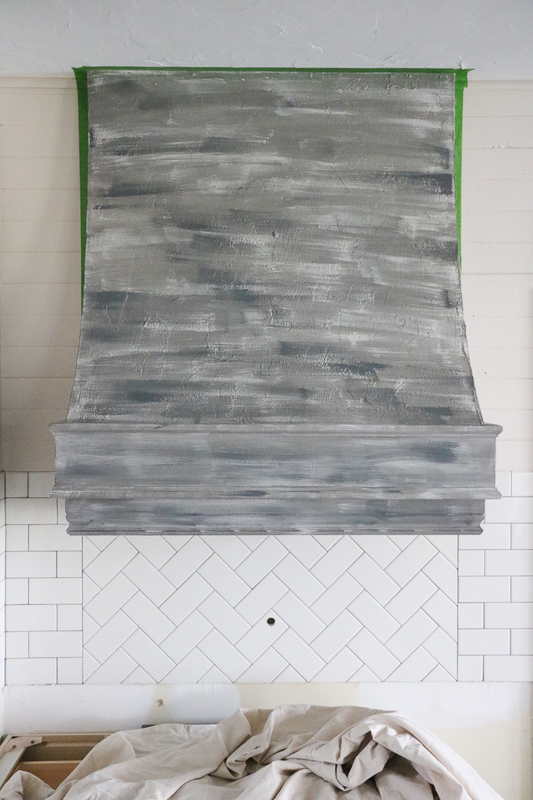 For the third layer, add a dark gray using the same dry brush technique. By doing these layers of dry brushing, it will add dimension and eventually mimic wood grain. Now comes the fun part – waxing! 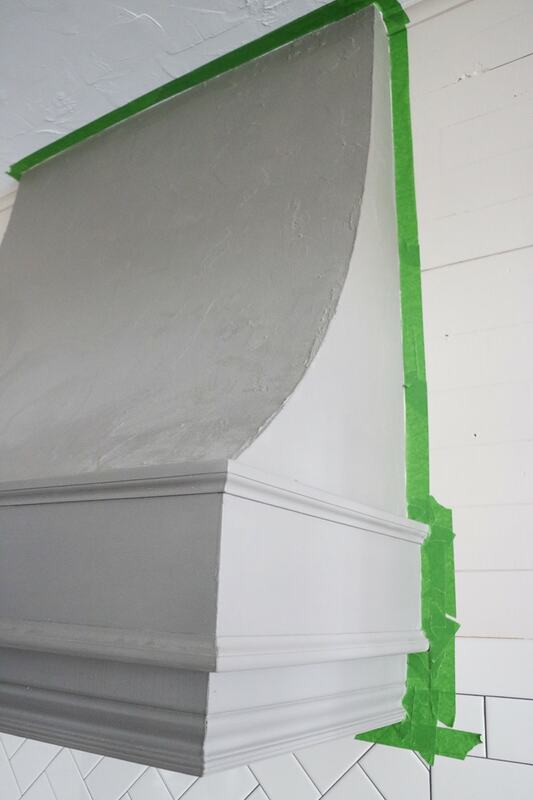 Add a dark wax to the entire piece. Make sure you use dark wax (not clear wax) and be very generous with adding it. 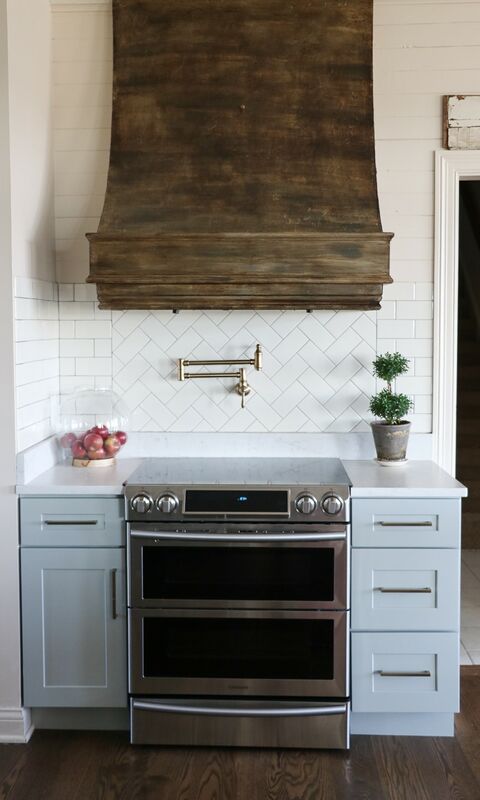 The dark wax is what makes the piece mimic the look of wood. It is amazing how quickly the piece is transformed. Cover the entire piece with wax, and come back through with a lint-free rag and buff. Once you buff, you are done! I am so pleased with the result. My hood really does resemble our dark wood floors. 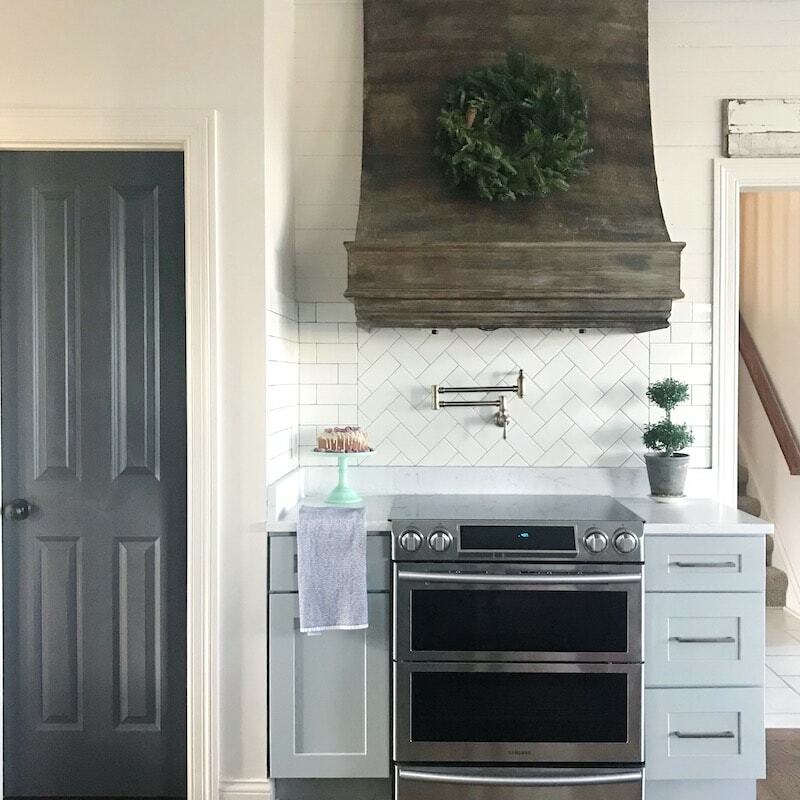 If you are interested in following our kitchen remodel journey, go HERE! I love this!! I really want to do my front door but it gets full afternoon sun. Do you think the heat would mess with the wax? I’ve never used wax before so I’m not sure how that works! Unfortunately I wouldn’t use wax outside. The heat of the sun would definitely soften the wax often. I’m sorry!! would this work on stair treads???? If I sealed it or would this be a no go? And How long did it take you to do this? I did this in a couple hours – it’s pretty easy! I don’t love the idea of wax on a stairway because of durability? 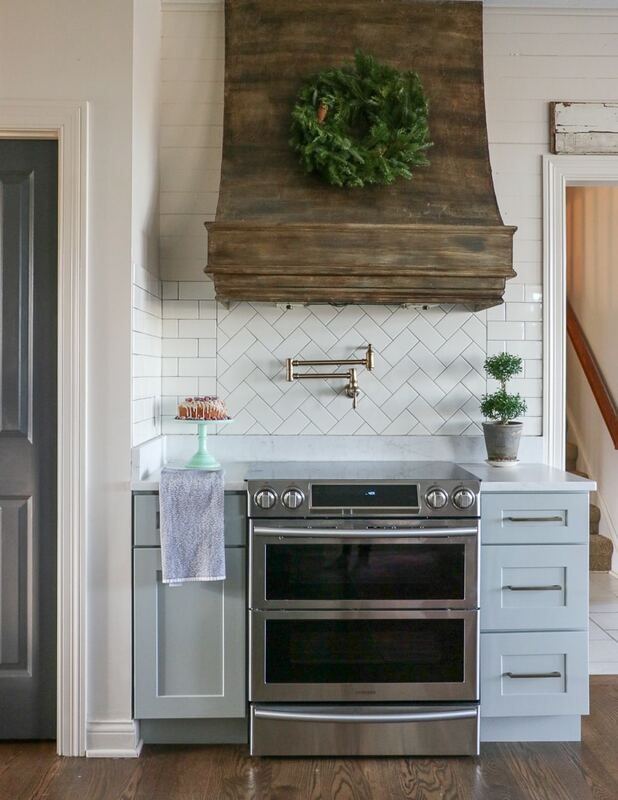 Could you use stain over the paint instead of dark wax? 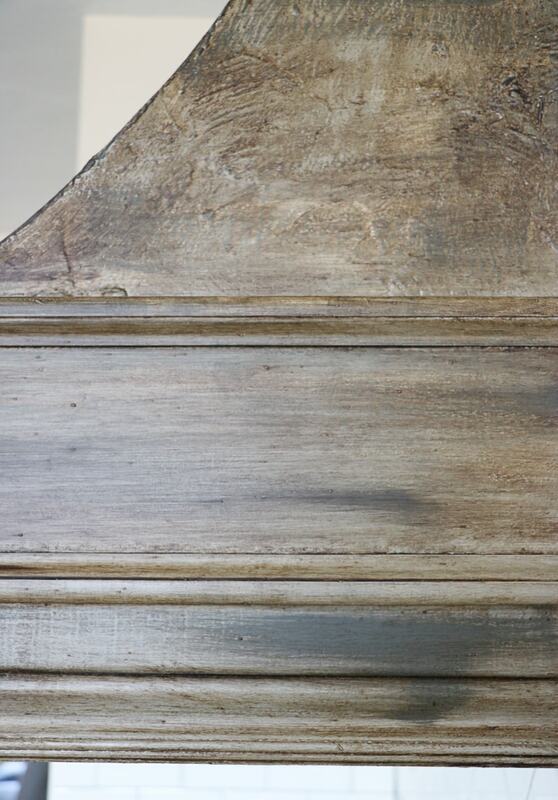 Thinking of trying this on an OLD wood floor that has several layers of paint. It’s worth a try – or a glaze could work?